Calling all Redwork Lovers! We’ve taken Eazy Peazy Quilts’ adorable new “Mind Your Mama” pattern and broken it out into a Block of the Month program we’re sure you’ll enjoy. Who hasn’t heard these admonitions from our moms, dads, grandparents … whatever “authority” figures we grew up with: “Eat your vegetables!”, “Make your bed!”, “Brush your teeth!” and so on. And don’t we tell our children or grandchildren the very same things? 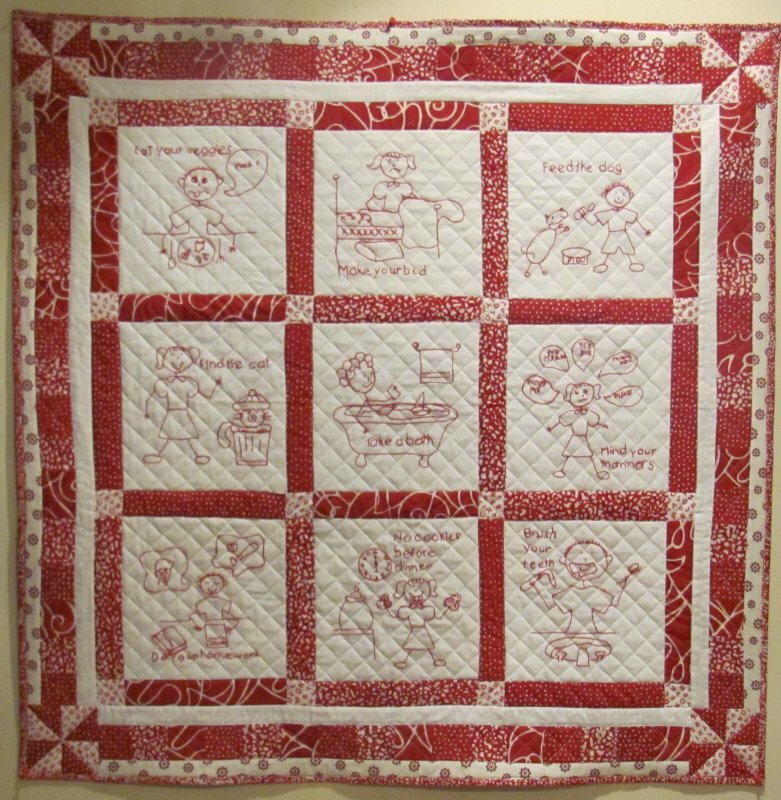 Commemorate those sayings with this adorable wall quilt (40” x 40”) done in red and white. Month #1: You’ll receive a square of background fabric, a square of muslin “backing”, the first month’s pattern, a skein of red Presencia embroidery thread, a pack of Foxglove Cottage embroidery needles, a red “Frixion” pen to trace each month’s design and a zippered project bag (so you can easily carry this hand work with you). Months #2, #4, #6 and #8: You’ll receive the background fabric, muslin “backing” and pattern for that month’s block. 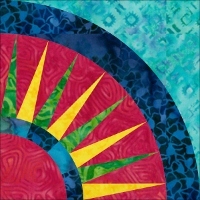 Month #10: You’ll receive the red & white fabrics needed to join the blocks, make the borders, binding, and backing fabric, along with the instructions from Eazy Peazy Quilts on how to put it all together. Kits are shipping now – sign up here to ensure your spot in the program!